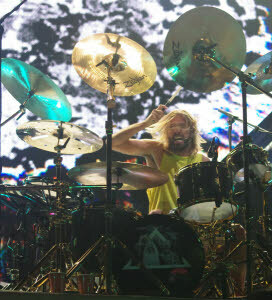 Dave Grohl and company roared (literally) into Music City last Friday night on Foo Fighters’ Concrete and Gold Tour. The band was originally scheduled to make the stop back in October, before a last minute cancelation due to a family emergency. The last time Foo Fighters played Nashville, frontman Grohl was confined to a stationary throne with a broken leg. Needless to say there was extra energy in the set to make up for the recent setbacks. Fans lined up hours early for general admission floor access to get as close as they could to the iconic rockers. Bridgestone Arena was packed to the rafters by showtime. 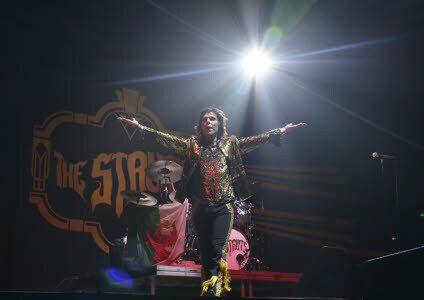 British glam band The Struts opened the night with a powerful set of rock n’ roll. The young guns delivered a classic sound and theatrical Queen-esque show. 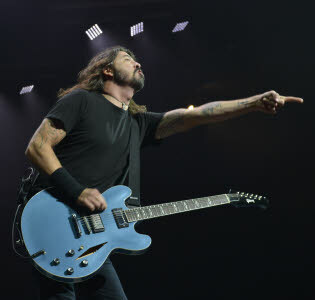 Luke Spiller, lead vocalist, engaged the crowd throughout the night and thanked the Foo Fighters for what he described as one of the greatest honors of the band’s life. 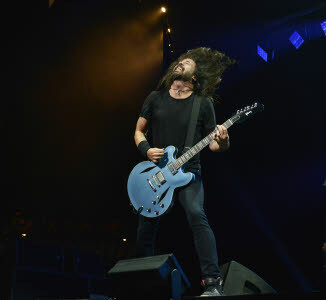 As soon as the long-haired, head-banging, wild man that is Dave Grohl rushed the stage for the opening song of what would be a nearly three-hour set, the fans went crazy. 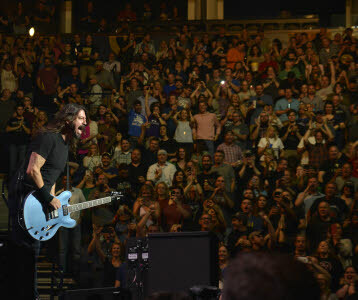 Grohl explored the stage from side to side in between his vocal obligations at center stage. He pointed out fans as he smiled and demanded everyone get up and make some noise. Of course when Dave Grohl tells you something, you do it. It really was the epitome of what an arena rock show should be. The set featured all the classics from the band like “Monkey Wrench,” “The Pretender,” and “My Hero.” They also threw in their new work that has taken off on their latest album Concrete and Gold. The night went on song after song, hit after hit, with fans on their feet and screaming right along with Grohl himself. The impressive setlist even featured a few covers and several extended breakdowns with Grohl also showing off his guitar skills while incorporating other riffs as he stalked the stage. 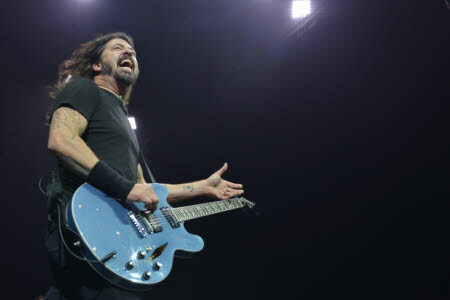 While Friday’s show was long overdue, Grohl was to say that it wouldn’t be the last time Music City saw Foo Fighters.